Over 65 per cent of horticultural and agricultural crops produced in Australia require honey bees for pollination as they are either self-incompatible or only achieve a commercially adequate yield through pollination vectors. Honey bees forage for nectar and pollen for food and as a direct result of their activities pollinate plants resulting in increased seed or fruit set, improved storage qualities and shape of some fruit, and a more even maturation of some crops. This makes pollination dependant industries incredibly vulnerable to honey bee pests and diseases and in particular, Varroa mite which is known to decimate wild honey bee colonies and severely impact managed hives. 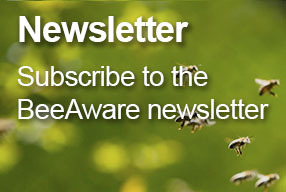 For every year Australia remains free of Varroa mite, industries which rely on honey bee pollination together receive a benefit of $50.5 million per year. Varroa mites and viral diseases are known to affect the efficiency of crop pollination by honey bees through the elimination of colonies. In recent research presented at the American Bee Conference , colonies infested with Varroa mites have also been shown to be less efficient pollinators, through achieving a lower percentage of fruit set by depositing fewer pollen grains on the flower stigma. Honey bees from infested colonies sometimes perform shorter flower visits and a lower percentage of foragers were pollen gatherers. These two behavioural differences may contribute to a lower rate of fruit- set. 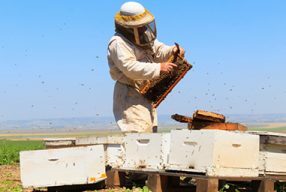 The impending threat of Varroa mite on the livelihoods of pollination dependant industries and beekeepers themselves is severe and will impact on the production of horticulture in Australia. Pollination dependant industries and beekeepers need to work together to mitigate the risk of Varroa mite entering the country and develop both short and long term contingency plans to maintain effective pollination in the event of Varroa mite establishment. Unfortunately, the process of pollination and importance of it to a variety of agricultural and horticultural crops in Australia is poorly understood. The reasoning for this is twofold. Firstly, in Australia, a large degree of pollination of crops occurs from the large population of wild honey bees that are found throughout the environment. Australia as a continent provides an ideal climatic and geographic region to honey bees, particularly because of the extensive areas of native vegetation, such as Eucalypts and their close relatives, which provide large quantities of nectar and pollen. 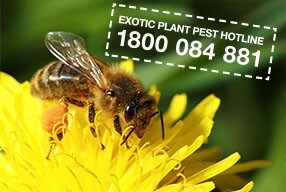 As a consequence, Australia has a large population of wild honey bees that provide generous free pollination services to Australian agriculture and horticulture. This means that pollination of crops often occurs without any deliberate intervention from, and at no cost to, the grower. This incidental pollination has resulted in the level of awareness about the importance of pollination by honey bees being lower than might be expected, given its importance. Secondly, Australia is still relatively free from many of the debilitating pests and diseases that affect honey bees in other countries. However, Australia’s biosecurity is constantly threatened from increased trade, travel and changes in the environment which increase the chances of a honey bee pest or disease entering the country. One of the biggest threats to the Australian honey bee industry is the Varroa mite (Varroa destructor) which over the last 50 years has spread to every major beekeeping area in the world, except Australia. Varroa mites are an external parasite that feed on the haemolymph of adults bees and on drone and worker bee brood. The Varroa mite weakens bees, shortens their lives, or causes death from viral infections that otherwise would cause little harm. 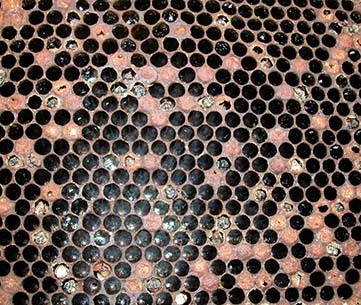 Heavy Varroa mite infestation causes crippled and crawling bees, a reduction in the honey bee population and ultimate colony breakdown and death of the hive. 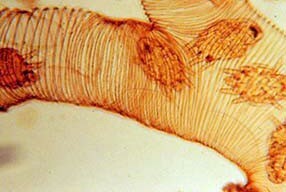 The effect of Varroa mite in other countries has seen wild honey bee colonies and managed colonies drastically decline. In the United States of America and Europe, Varroa mite killed 95-100 per cent of unmanaged or wild honey bees within three to four years of infestation. While efforts are being made to prevent an incursion into Australia, it is generally accepted that Varroa mite will eventually become established in Australia. When it does, Varroa mite is expected to progressively kill 95-100 per cent of Australia’s wild honey bee population, greatly reducing the free pollination service they provide. As the number of wild honey bees falls, and the impact on the honey bee industry is felt, the horticultural and agricultural industries will be severely affected. The effect on commercial beekeepers will be the costs associated with implementing control measures, increased labour requirements, and the need to replace infected colonies. The effect on pollination dependent industries will include increases in the direct costs of pollination services and the possibility of insufficient number of hives being available to pollinate crops. This will cause a major shift in the honey bee industry, pollinator-reliant plant industries and the provision of pollination services in Australia. Since the introduction of Varroa mite to the North Island in 2000 almost all feral colonies have disappeared. 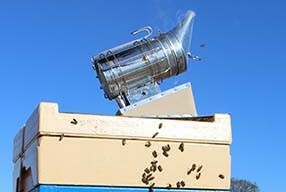 Pollination costs have increased from an average of $80 per hive in 2001 to an average of $150 per hive in 2012. For example, before Varroa, kiwifruit pollination was valued at $80/hive, however, by 2007 this had increased to around $180/hive. Current crop pollination prices include Avocados ($110-165 per hive), summerfruit ($120 per hive) and onions ($150 per hive). In 2011 and 2012, treatments for Varroa mite ranged from $24–25 per hive, however these costs are expected to increase as resistance to treatments spreads. Current pollination requirements are still being met however the numbers of hives currently available are not predicted to be sufficient by 2015, as the area of pollination-reliant crops continued to expand faster than the rate of hive numbers and beekeepers. If the predicted reductions in hive numbers due to Varroa mite and reduced honey prices eventuate, this situation will be more critical. 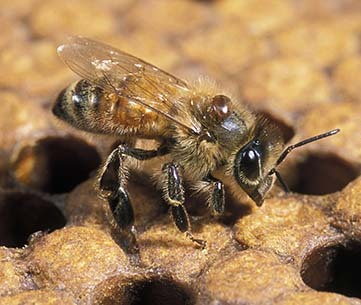 It is estimated there is likely to be a shortfall of 72,950 hives nationally by 2015.